A tee and shorts set inspired by summer beach days. A laid-back beach vibe inspires this infants' outfit. 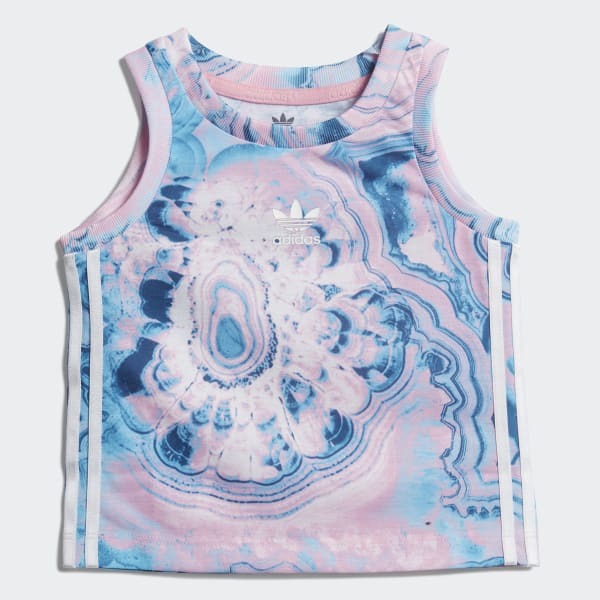 The colourful graphic print on the tank top looks like moving clouds or waves. The top is made of a soft all-recycled polyester jersey. The shorts have dolphin hems for a vintage look. Both pieces feature iconic, sporty 3-Stripes.